There's nothing like a tiger - big, ferocious, and striped. But what symbolism is connected to tigers? And why - and where - would you want to get a tattoo of one? Keep reading to learn more about the meaning and reasons for tiger tattoos. Weighing in at 250 to over 600 pounds, tigers are the largest members of the cat family. The Bengal tiger is the most common of tigers, but various subspecies exist with different colors and stripe patterns. Some species, such as the Sumatran tiger, are in danger of extinction, and three species are already extinct. Tigers can live in forests, marshes, or rainforests, but they exist in solitude, each occupying its own territory. Tigers can swim, crossing rivers more than 10 miles wide. Male and female tigers do not share territory - they join to mate, but the male does not take any part in raising the young. The tiger cubs leave their mother's territory when they are 18 to 30 months old. Tigers can have many different meanings. They are associated with power, ferocity, passion, and sensuality. Sometimes they are used to represent a person's driving force or urges in life. A caged or defeated tiger can be used to symbolize the containment or sublimation of those urges. On the other hand, tigers can also symbolize femininity, power, anger, vengeance, and cunning. Asian cultures have different symbolism and mythologies attached to tigers. For the most part, tigers are seen as symbols of power and strength, but they also can be used to represent violence and destruction. Koreans believe that the tiger is the "King of the Animals." In China, the images of tigers are used to ward off evil. If you've decided that you'd like to get one, you may want to do some looking around before you decide on a style. There are many different kinds of tiger tattoos, so even though they're popular choices, you can still get one that's one of a kind. Take a look at some of these tattoos to get an idea, whether you want one like it, or one that's a look all its own. 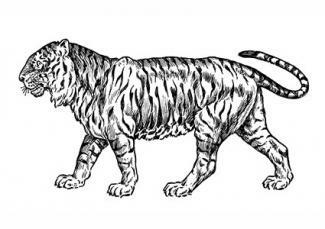 Even if you want a tiger tattoo, it doesn't have to just have a tiger in it. Why not combine it with another style or item? Tribal, Celtic, or realistic - all are viable options for your tattoo. No matter which style you pick, you can make it even more personal by adding another image to it. Why not add flowers, hearts, or even a skull? If you wanted to, you could even create an entire scene based around your tiger.If you need some jump starts for your creativity, there are a few websites you may want to check out. 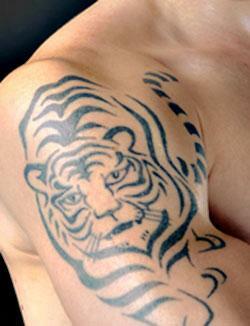 Tattoo-Trends has a full gallery of tiger tats to draw inspiration from. Tattoo Johnny has close to 300 samples of tiger tattoo designs to download. Why not a tribal armband with a tiger as the centerpiece? 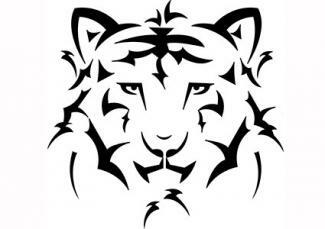 Or a shoulder tattoo of a tiger's face? Tiger tattoos can go on ankles, chests, or backs. Depending on the style and images you put together, you can put a tiger tattoo just about anywhere that you want to!